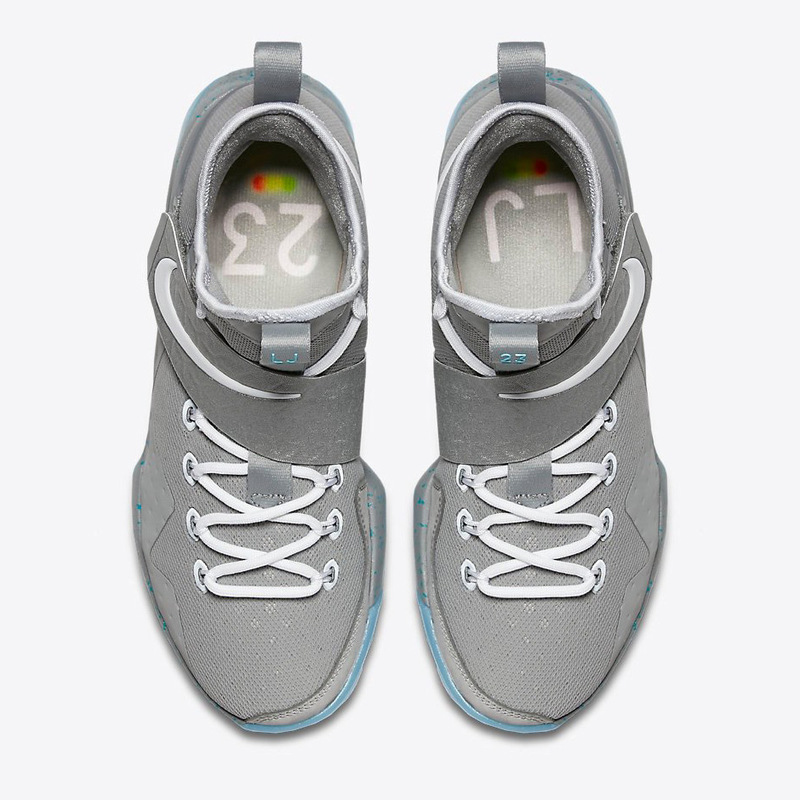 We’ve seen Back To The Future Nike Mag inspirations on a plethora of Nike silhouettes ranging from the Nike SB catalog to the Nike Hyperdunk series, but there doesn’t seem to be too many parallels between Marty McFly and LeBron James other than the Swoosh branding that appears on their feet, until now. 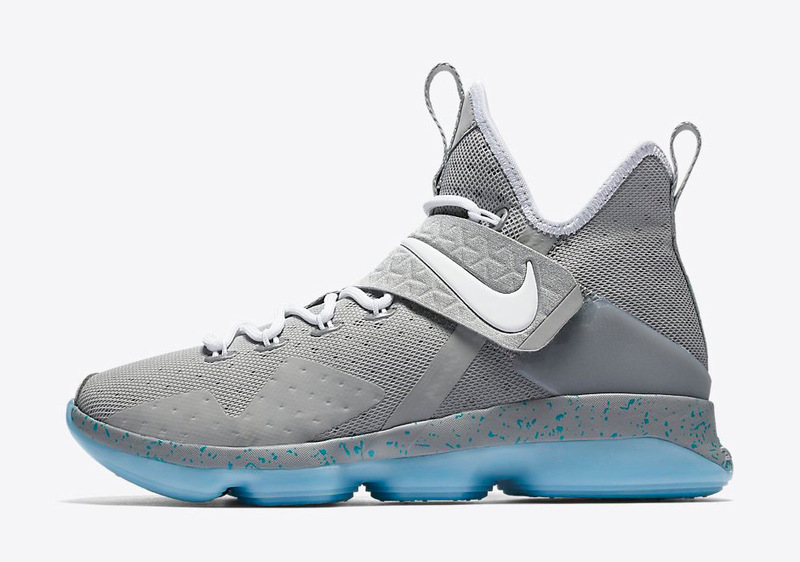 Today we get a look at an upcoming LeBron 14 that looks an awful lot like the Nike Mag’s signature combination of grey and electric blue, and we have to say, this look is pretty sleek. 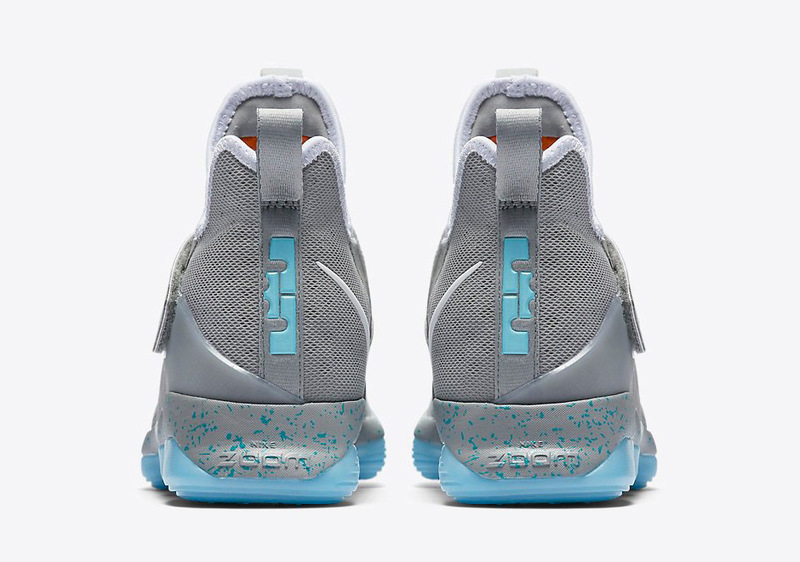 The Nike LeBron 14 has been featured in a number of greyscale PEs throughout the NBA season, and this pair features contrast white Swoosh branding on the strap, blue speckling on the midsole, and a darker than usual icy blue tint on the hexagonal air units below. 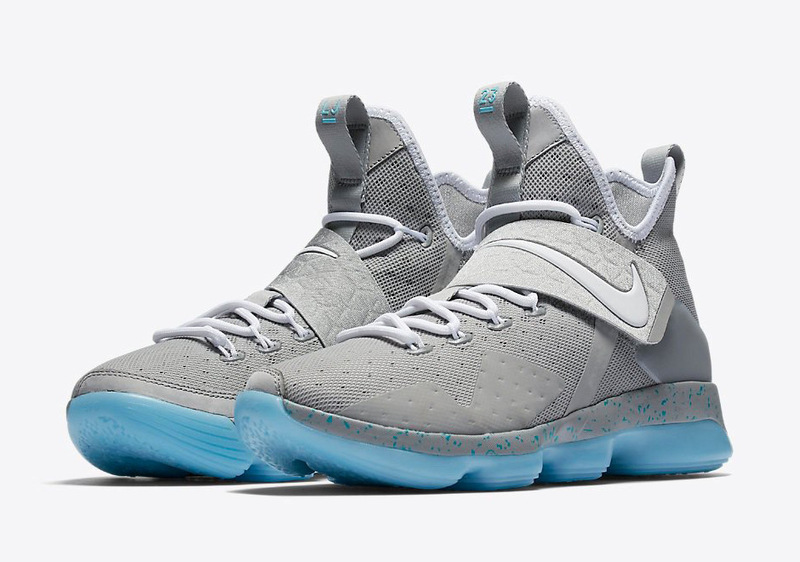 What do you think of the coming Nike LeBron 14 Mag colorway? These are available now on Nike.com.